Come celebrate New Mexico’s diverse and unique cultures! New Mexico Museum of Natural History and Science (NMMNHS) hosts a reception for the winners of the 2018 NatureScapes Annual Photo competition – Clouds. A reception for the winning photographers will be held at the Museum on October 20, 2018 from 10:00-11:00am. Join us for a special moonlight tour in honor of the 50th anniversary of the National Trails System. Walk on an authentic portion of El Camino Real de Tierra Adentro National Historic Trail. Meet historical figures from the past camped at Paraje de Robledo!Tours leave every 15 minutes. Admission: $5 for adults. Kids are free. Tickets sold at the door. Cash or check only. All activities are outside, please dress warmly. Sponsored by the Museum of NM Foundation. Call 575-202-1638 for information. NM I-25, Exit 19, Radium Springs and follow the signs. Please note this program takes place at the Center for NM Archaeology, located at 7 Old Cochiti Road, off the Caja Del Rio exit of 599. This event is free and open to all! Join us for our annual family-oriented Archaeology Day at the Center for New Mexico Archaeology (CNMA)! 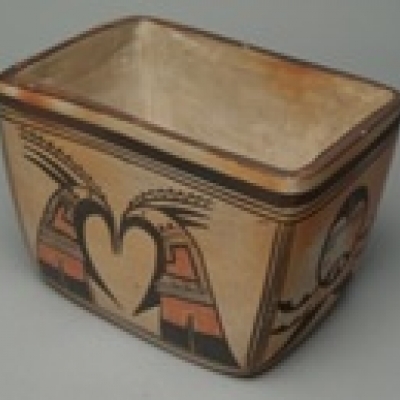 This is also a great opportunity to view Birds: Spiritual Messengers of the Skies, which "explores the importance of birds in Native American culture, as well how birds are addressed or studied in the field of archaeology," said Diana Sherman, MIAC Assistant Collections Manager and Exhibit Curator. "The exhibit [also] informs the visitor about birds in general and their great significance and amazing adaptability." Make sure to tour the Center for New Mexico Archaeology (the storage facility for New Mexico’s archaeological collections), the research laboratories for the Office of Archaeological Studies, and meet the archaeologists behind the excavations at the Palace of the Governors, the Civic Center, Railyard, Santa Fe County Courthouse, and many other locations throughout the state. The New Mexico Museum of Natural History & Science will celebrate 2018’s International Observe the Moon Night on Saturday, October 20, 7-9 p.m., weather permitting. This is a free event.